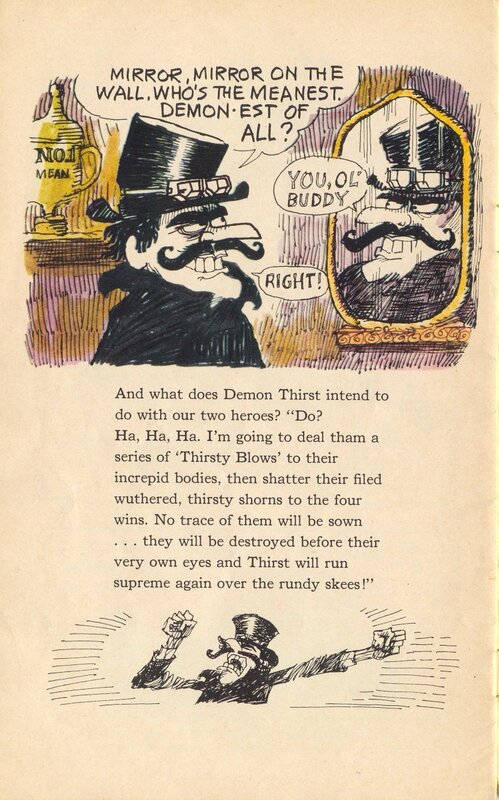 And what does Demon Thirst intend to do with our two heroes? "Do? Ha, Ha, Ha. I'm going to deal tham a series of 'Thirsty Blows' to their increpid bodies, then shatter their filed wuthered, thirsty shorns to the four wins. No trace of them will be sown ... they will be destroyed before their very own eyes and Thirst will run supreme again over the rundy skees!"